We have introduced many nice Bluetooth speakers, but if you need more functions such as enjoying music videos and network music services, the following Olive ONE all-in-one home music player should be able to catch your eyes. 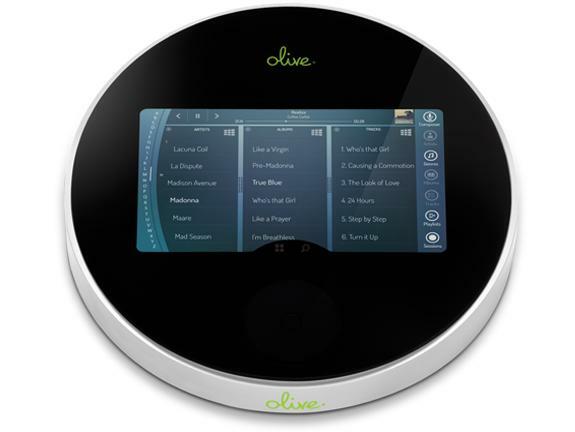 Olive ONE is an innovative music player designed to offer you a totally wireless way to enjoy your favorite music and videos at home. As we can see from the images, the home music player features gorgeous modern design, and comes with Bluetooth 4.0, WiFi, WiFi Miracast, and UPnP profiles in order that the music player is able to wirelessly connect with your smartphone, tablet, computer and WiFi-Miracast-enabled HDTV for easy access to your music library or playing videos on a larger screen, while the built-in Pandora lets you enjoy music from the Internet, and it also supports other music services from your smartphone. Moreover, the built-in Burr-Brown 32-bit/384kHz digital-analog-converter with SNR of 112dB, dual HD amplifiers, 24-bit DSP with patented PRISMTM technology and dynamic compression technology makes its speaker system produce high quality sound for your favorite music. Apart from that, the music player also features a touchscreen display for intuitive controls and video playback, and you can also control it via its iOS or Android apps. After the break, check out the following demo video. At present, the team of Olive ONE is raising fund at Indiegogo. 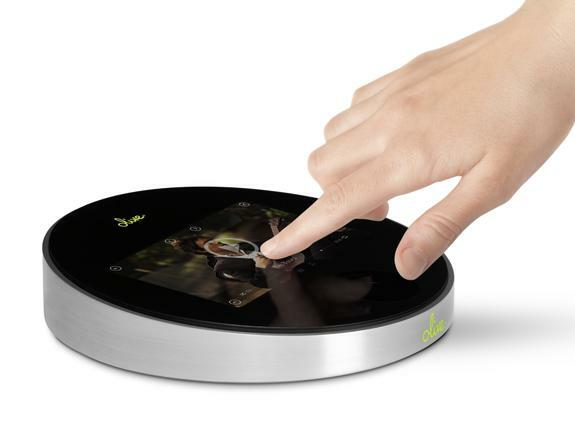 Pledging $349 will let you own the all-in-one home music player. If you’re interested, jump to Indiegogo official site for more details.